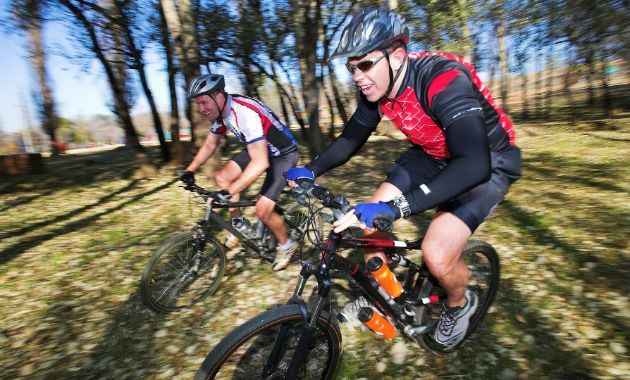 An alumnus credits his information studies at Charles Sturt University (CSU) with enabling him to undertake more sophisticated research and co-edit a recently published book. Mr Matthew Kelly (pictured left) graduated with a Master of Information Studies (with specialisations) from the CSU School of Information Studies in 2012, and later co-edited Information Cultures in the Digital Age (Springer VS, 2016) with Mr Jared Bielby. Mr Kelly explained that Information Cultures in the Digital Age contains the work of 35 scholars from 15 countries who honour of the contribution to information science and the philosophy of information of Uruguayan philosopher Professor Rafael Capurro. "The book arose from my encounters with scholars at international conferences, including Professor Capurro, and it developed into a significant collection," Mr Kelly said. "It covered issues associated with the culture and philosophy of information, information ethics, the relationship of information to message, the historic and semiotic themes associated with the field, the nature of informational hegemony and the status of information education. "Jared and I were thrilled that the scholars who agreed to participate included several very well-known academics in information science, but we were pleased also that we had representation from scholars working in areas aligned to, but not entirely defined by, information science. "My research masters studies at Charles Sturt University were seminal in providing the social science and methodological background that enabled me to take this project forward to the next stage of completion." The genesis of the book occurred when Mr Kelly attended the Technology, Knowledge and Society Conference in Madrid, Spain, in February 2014. There he met Professor Capurro who was the keynote speaker, and they discussed how hermeneutics should be understood in relation to information science. Professor Capurro put Mr Kelly in touch with Mr Bielby who had a longstanding interest in information ethics (another of Professor Capurro's interests). Mr Kelly and Mr Bielby subsequently discussed the possibility of a book that would celebrate the contribution of Professor Capurro to both philosophy and information science. They pitched the idea for the book to German publishing house Springer and were pleased to find that Springer welcomed the idea of a significant work in English that aimed to contextualise Professor Capurro's work. "I am really pleased to be able to provide a signal to other postgraduate students at the School of Information Studies that there is a chance that the coursework or research streams they are studying offer the chance to gain enough knowledge and expertise to follow through with a project such as mine," Mr Kelly said. "My studies at Charles Sturt University initially focused on the materials-centred approach to collection development in public libraries, and the book that I ended up editing dealt in large part with the hermeneutic aspects of dealing with broad swathes of knowledge in relation to understanding 'the intentions that come with the communication of information and their origins in linguistic, scientific and ethical spheres'. "While the two areas are not absolutely aligned they inform each other, and I am pleased to say that I have been able to improve my specific research goals as a result of the generalist work that the book project allowed me to engage with. "I will always hold the Charles Sturt University experience dear to my heart as it was seminal in ensuring that I was able to deal with the important foundational issues that were crucial in navigating the world of scholarly ideas ─ both epistemological and methodological ─ at the level required of doctoral research in information science." Contact CSU Media to arrange interviews with Mr Matthew Kelly. Mr Kelly is currently a doctoral student at Curtin University and is based in Hobart, Tasmania. 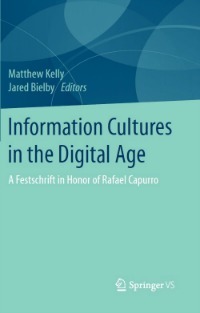 Information Cultures in the Digital Age: A Festshrift in Honor of Rafael Capurro (2016) is published by Springer VS (Germany).